I was recently introduced to a range of apps for your mobile devices which will be very useful for boat-owning anglers. I initially thought – what’s the point, there are plenty of books on these subjects. But few take a library of books in their boat and even fewer can memorise everything they need to know, ready for instant recall when the information is needed urgently. Enter the app, with all the information neatly packaged and quickly accessible. As long as you have a mobile phone or tablet on board (most of us do), these apps are invaluable. All are available from the App Store relevant to your device. 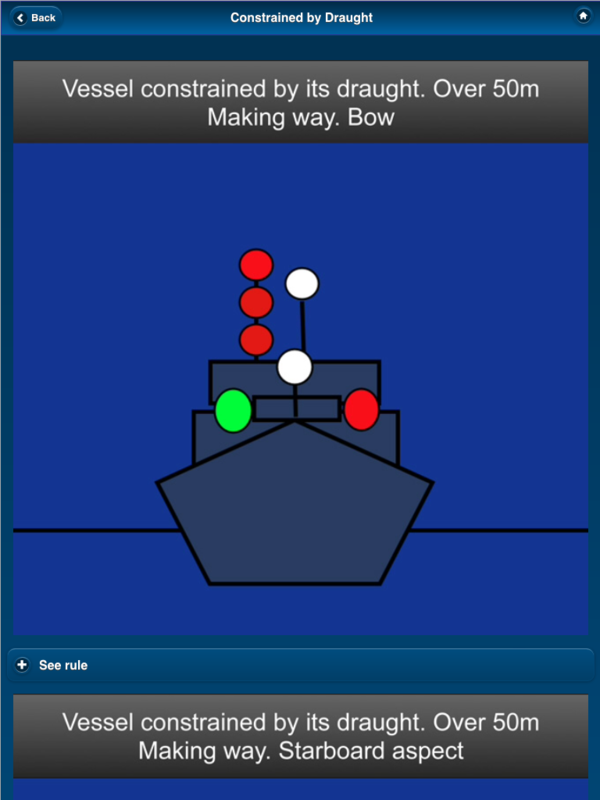 This app contains the relevant ColRegs text (if you can face reading it) and a very simple click-and-view selector allowing you to flick through day shapes and night lights to refer to out at sea, or to teach yourself in quieter moments. There is even a self-test quiz to help. 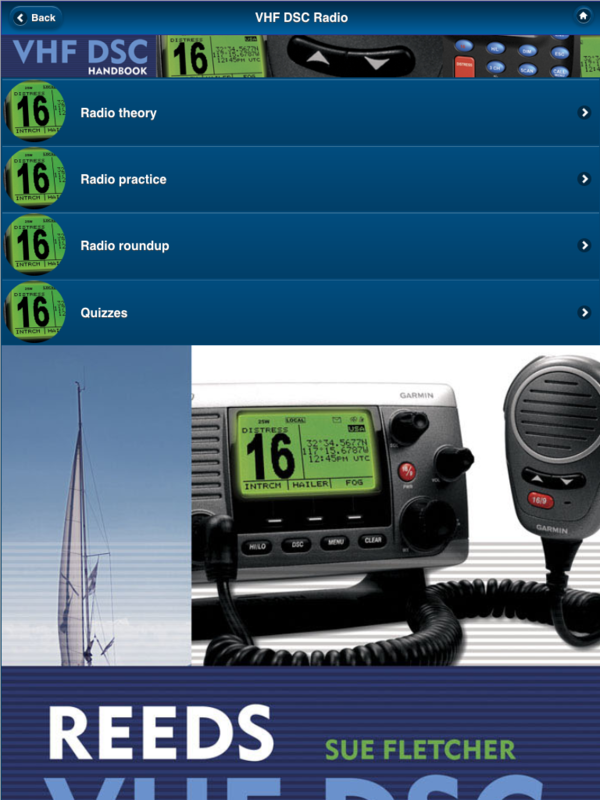 Another useful app which doubles as a training aid and quick reference. It is packed with information in a very accessible format, and contains much more than you would cover in a one-day course. There are sections on Radio Theory, Radio Practice, Radio Round-up (useful odds and ends of information) and of course more quizzes. It is bang up to date, which it needs to be because this area is changing as technology advances and a printed book would soon be out of date. If you only buy one, buy this one. Most experienced skippers will have taken courses and use that learning on a regular basis when we operate a VHF radio and navigate a busy stretch of water. First Aid is something we fortunately rarely have to use, so we will inevitably be out of practice. When we need that knowledge, there will almost certainly be some dramatic event occurring that makes the recall of vital first aid information even more difficult. 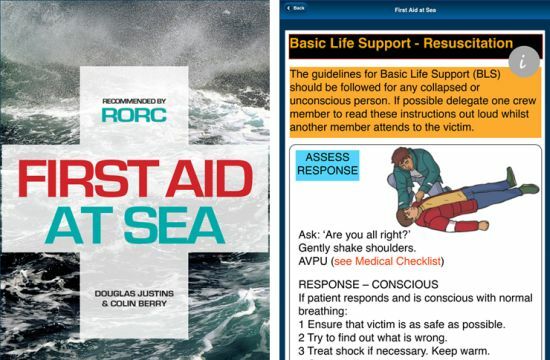 There are two main sections: Basic Life Support (because you don’t want to be hunting for that), and A to Z of First Aid. I tested the app by imagining various nasty medical situations and then used it to work out (quickly) what to do. It worked perfectly – easy to follow instructions and clear diagrams.